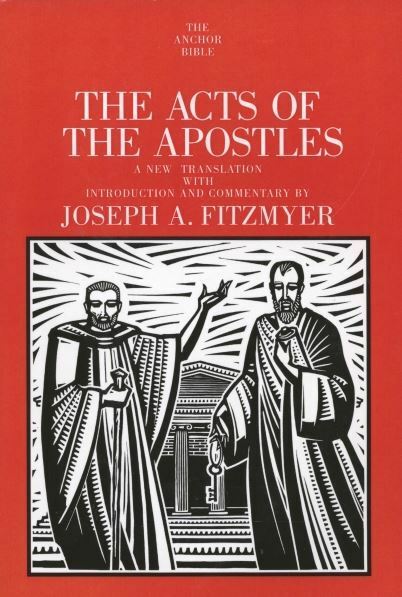 For anyone interested in the origins of Christianity, Joseph A. Fitzmyer's The Acts of the Apostles is indispensable. Beginning with the Ascension of Christ into heaven, and ending with Paul proclaiming the kingdom of God from a prison in Rome, this New Testament narrative picks up where the Gospel of Luke left off. The Acts of the Apostles is indeed a journey of nearly epic proportions--and one that requires a guide as adept as Fitzmyer. Since Acts was most likely written by the same person who composed the Gospel of Luke, it is only fitting that the Anchor Bible Commentaries on these New Testament books should be written by the same author. With The Acts of the Apostles, Fitzmyer gives readers the long-awaited companion to his two-volume commentary on the Gospel of Luke. The Four Gospels recount the life and teachings of Jesus, but only the book of the Acts of the Apostles tells the story of what happened after Jesus’ departure. In this second of St. Luke’s two-volume work, he picks up with Jesus saying farewell to his followers; then Luke tells the fast-paced story of the birth and growth of the early church. This narrative reads like a major breaking news story, with the apostles Peter and Paul as the main characters. The interpretation of Acts requires a scholar of the highest quality. As he demonstrates in The Acts of the Apostles, Joseph Fitzmyer not only is up to the task but establishes once again why he is ranked among the world’s top biblical scholars. Far from being a rehash of old ideas and well-rehearsed theories, Fitzmyer’s commentary distinguishes itself as the capstone of his career, with a new synthesis of all the relevant data from the Roman world to the present. He provides a thorough introduction to the background, text, and context of the book, as well as chapter-by-chapter notes and comments in which are offered insights and answers to questions that have long plagued preachers and parishioners, teachers and students. This commentary is destined to join Fitzmyer’s Anchor Bible Commentaries on the Gospel According to Luke and the Epistle to the Romans as the most authoritative commentary available on Acts.